A common issue when we make a new release is anti-virus software on Windows flips out and starts flagging it. In this post I’ll try to discuss some of our release process, how to verify you are safe, and that there is nothing we can actually do about that. 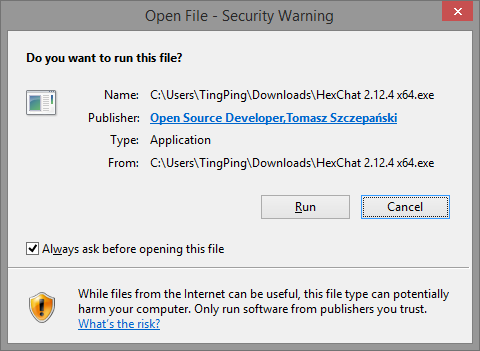 HexChat tries to take security of releases seriously and I would like to think does a better job at it than most small open source projects. Firstly our main website is hosted on Github Pages over HTTPS only, it is only a landing page and does not host any files. Our downloads are hosted by me (@tingping) personally on a DigitialOcean VPS. This website is only accessible over HTTPS using modern security practices at dl.hexchat.net. Our Windows installer downloads files at runtime all over HTTPS only. So at that point you should have gotten everything securely but we can go a step further to verify this. 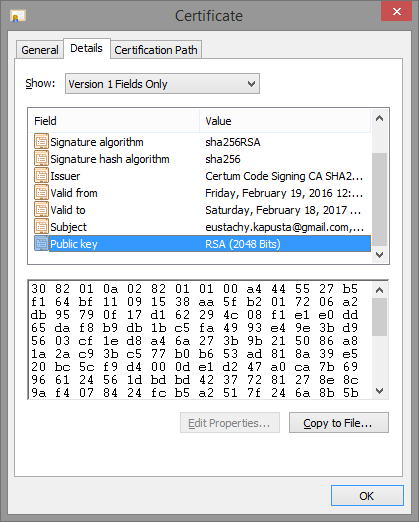 The source downloads and the Flatpak repo for Linux are signed by my GPG key. All Windows installers are built, signed, and uploaded by @tomek. We two are the only people you should trust any official HexChat download from. The source to HexChat is of course open but also our build script and all of the source to build our Gtk stack on Windows is open source and can be built yourself. If anybody finds anything about this that could be improved or might be an issue feel free to contact us on IRC. Now that the installer is verified does that mean it is safe? Well the truth is that this is impossible to assert. You must have impllict trust that @tomek and I are not malicous. 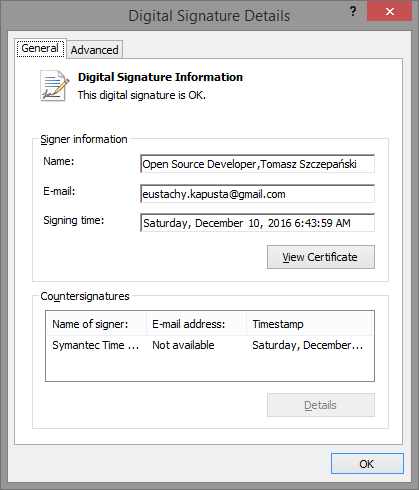 There is also a very small chance that a third party whos software we use is actually malicious but as mentioned above you can verify all software we use. We don’t write your AV software so we don’t actually know. There are plenty of assumptions that can be made though; For one thing IRC has historically been used in a lot of malware and since [He]xChat is open source it is plausible some of that very code was used or they just flag the IRC protocol entirely outside of whitelisted applications. The only course of action is to whitelist HexChat for now and contact support for your AV. This happens every release and usually a few weeks after they will add it to the whitelist. You might suggest that we contact every provider ourselves but this is a task that does not scale up nor is it our problem. Hopefully we can make you feel a little more confident that it is probably not actually malware though.